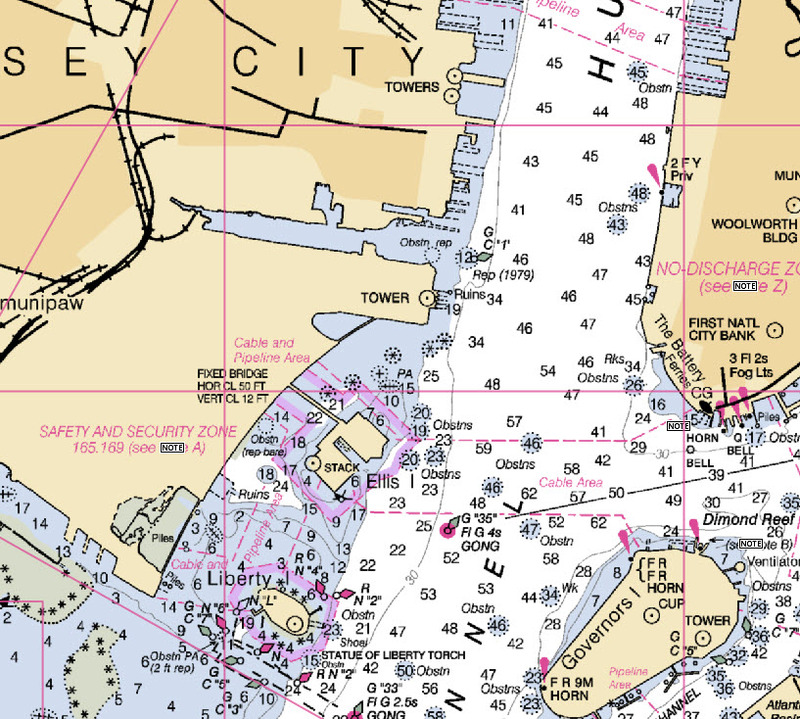 Description: "Liberty Landing Marina is a 520 slip marina located on the Hudson River across from the lower tip of Manhattan. We offer transient dockage, 24-hour fueling facility, full-service maintenance, marine store, and much more! Whether you’re coming for a day, a week, or just to dock and dine, Liberty Landing Marina is the place to be. Being located in historic Liberty State Park, there are endless things to do. 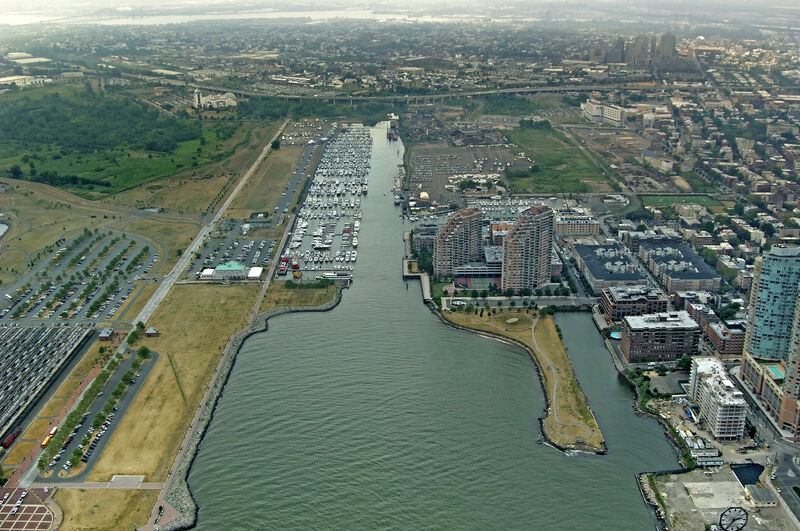 We have two on-site restaurants, a ferry to NYC, Statue of Liberty tours, and we are just a few minutes away from the Liberty Science Center." Liberty Landing Marins in New Jersey is right next to the dock where the excursion boats leave to take visitors to Ellis Island and the Statue of Liberty. If you intend to visit either of these locations, you MUST contact them ahead of time to make resrvations. The marina is in the center of the photo. Note the old train sheds on the left that are part of Libert State Park. The Colgate Clock is just visible in the right foreground. 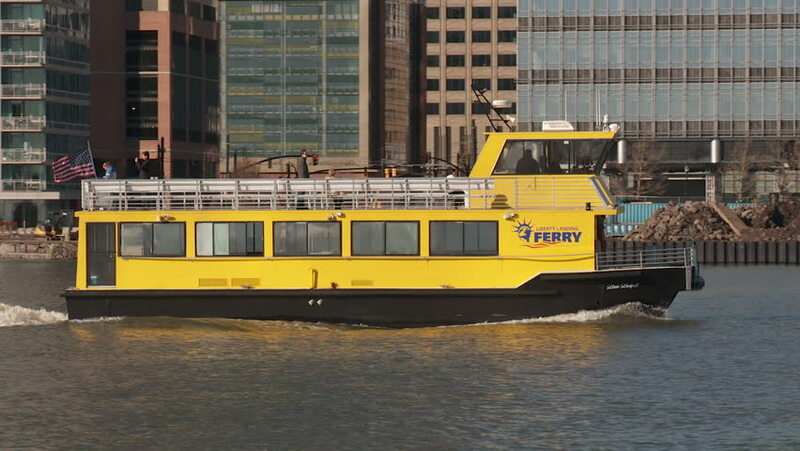 Liberty Landing Ferry offers access to New York City. Looking from Liberty Landing toward Jersey City. Nancy Ann is on the left, centered vertically, dinghy on the back, and our first tan canvas cockpit cover rolled up.